Lead a metal found in natural deposits is rarely found in source water, but enters tap water through corrosion of plumbing materials. Homes built before 1986 are more likely to have lead service pipes, copper water pipes with lead solder, brass fixtures that contain lead and fixtures which can leach significant amounts of lead into the water, especially hot water. Hot water should not be used for drinking or cooking as it may contain higher levels of lead, if hot water needed then simply heat up some cold water and use as needed. Boiling your water will not remove the lead. Effects of lead in drinking water are greatest for children under 6 years of age. Pregnant women and nursing mothers should avoid exposure to lead to protect their children. Exposure to lead can cause delays in physical and mental development and long term exposure can have many medical complications. 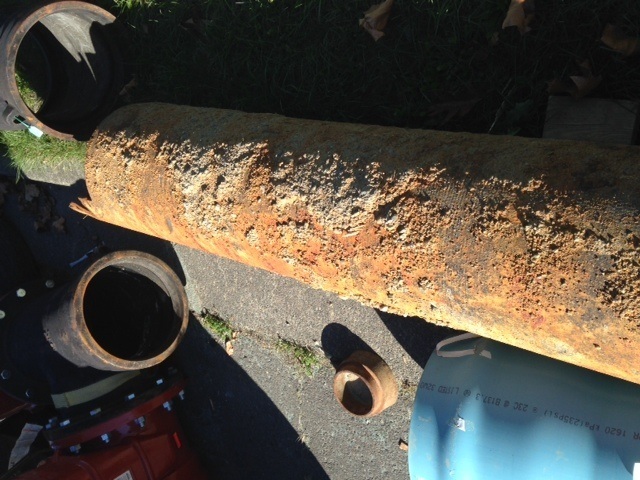 Many homes built prior to 1950 may contain a lead service water pipe, this is the pipe that supplies the drinking water to your house. This is one of the worst contributors to lead leaching into your drinking water. These pipes are built primarily of lead. You can call your water supplier to determine if your house has a lead service pipe, and if you do have this pipe it is strongly recommended to have it replaced. If you are concerned about lead exposure you can have your water tested for this contaminant. Best to test first thing in the AM before you use any water, this is the time when your water will have the highest level of lead. If you believe you may have lead in your water you should flush your kitchen tap cold water faucet for several minutes before use first thing in the morning and after not being in use for 6 hours or more. Do not waste this water, can be used for washing dishes, watering your plants or even using the toilet first thing will flush your lines. When the water sits unused in systems that contain lead, the lead contamination will build up over time so important to flush out before use. Best way to remove lead issues from your drinking/cooking water is to install a home reverse osmosis system though even a quality carbon filter can reduce amounts of lead and its associated health risks. 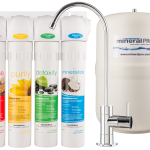 If you are wondering what your options are give us a call at tel:1855-586- 6667 and we will be pleased to help you figure out the best filter system to make sure that you are drinking safe healthy water.